By George M. Colvocoresses. New York: Cornish, Lamport & Co., Publishers, No. 8, Park Place, 1852. Naval officer George Colvocoresses took part in the U.S. 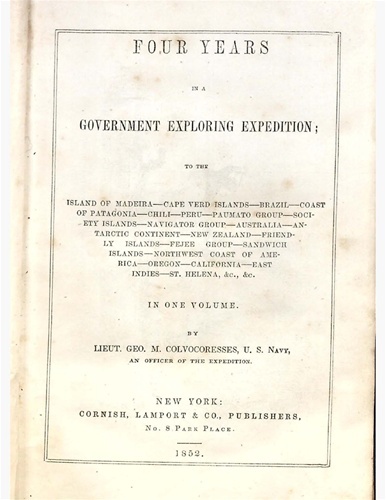 Exploring Expedition, 1838-42, and published this account of it based on a journal which he kept. 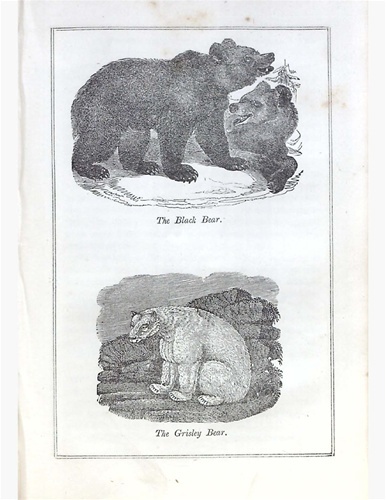 The text covers the entire itinerary of the voyage, describing the lands and peoples visited and a variety of scientific matters; the 19 illustrations include botanical and zoological subjects and scenes of the west coast of North America. 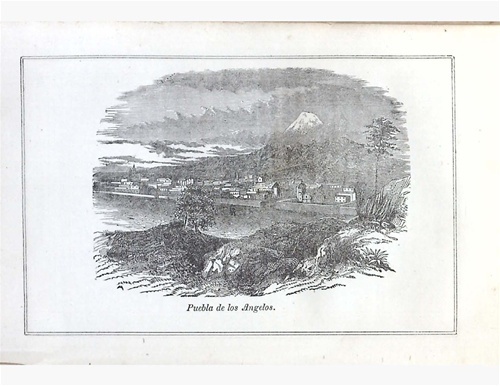 Of particular interest is Colvocoresses' participation in the overland leg of the expedition in the Pacific Northwest and California. The U.S. Exploring Expedition's biological and ethnographical collections form the basis of virtually all departments of the Smithsonian's National Museum of Natural History and are actively researched to this day. 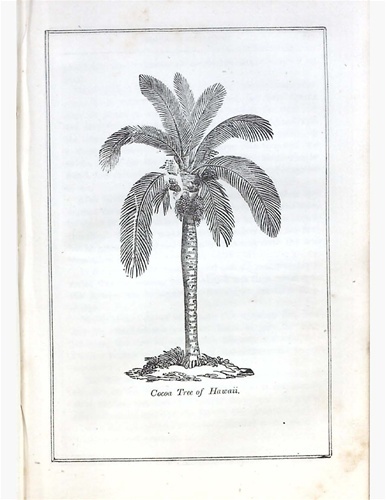 The Smithsonian Libraries holds a comprehensive collection of the publications arising from the expedition, and Colvocoresses's book fills one of the few gaps in these.